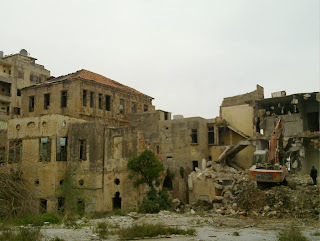 GiB#2 | Enough Already: Save Beirut Heritage! Not a GiB matter per se, but definitely a noble cause that calls urgently for some more GiB-type sensitivity. The sharks of the construction and financial industries. 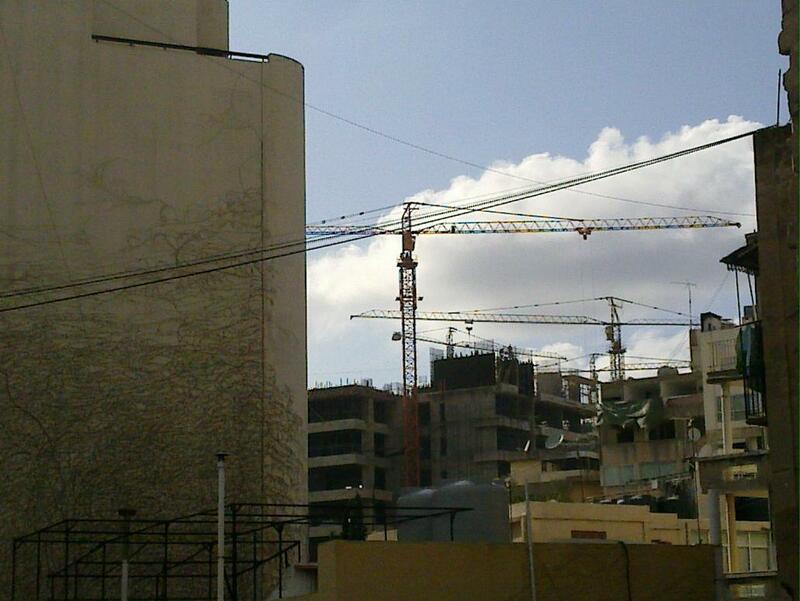 They’re changing the face of Beirut every day. They’re building their skyscrapers by destroying its old buildings. “Modernizing” the city at the expense of our architectural heritage. 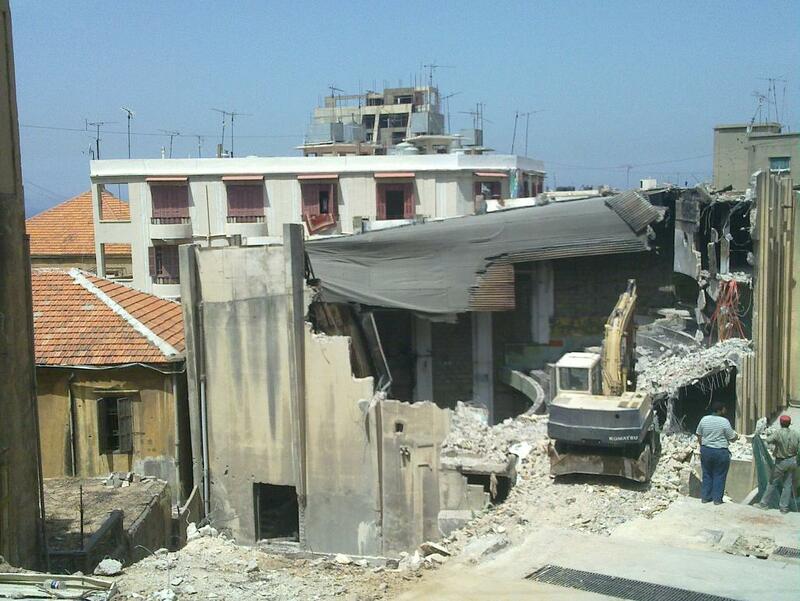 Not a day goes by without them tearing down another colonial, Ottoman or traditional Lebanese mansion in Beirut. Stone after stone, one landmark after the other, they’re burying historic Beirut. Taking away its charm, its character. Violating its memory, its culture. Their crimes happen overnight, as they come down like thieves, while we watch helplessly. I’m not being overly nostalgic and sentimental. Let’s be clear about something: As average Lebanese, we don’t mind “modernization” and the Dubai-type towers. We might even find some pride in them, as they serve our country’s ambitions of grandeur, don’t they, and they might well signify our economic comeback. As average Lebanese, we don’t mind the contrast of new v/s old – it’s actually part of Beirut’s charm. But why do we have to tear down the historic buildings to be able to have skyscrapers? Why not just build them elsewhere, or at the very least try to get creative with half measures like this? Why not try to attract investors who actually give a damn, people who can see the value of owning and preserving one bit of Beirut paradise lost? How can we turn a blind eye to the fact that this construction frenzy in the last three years might actually be just another “real estate bubble” that can only burst open? 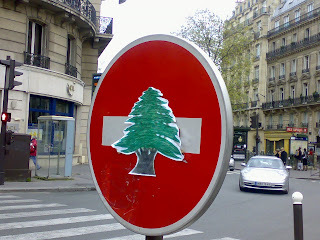 We’ve seen it happen elsewhere: if and when it happens here, it will be too late for Beirut. And it’s not too far fetched of a scenario. The truth is that the overpriced multi-million luxury apartments they’re building are often bought by Arab investors as financial placements, they remain empty 11 months a year, and they alienate from large parts of the city the 99% of Lebanese people who can’t afford them, including in our new flamboyant, plasticky, ghost-town Downtown. Who’s to blame here is one hell of a tricky question. - The owners of the historic properties? They often can no longer afford maintaining their old family house, let alone renovating it after 20 years of war and another 20 of abandon. They’re not offered any help or incentives for doing so, while they get hammered by the entrepreneurs with juicy buyout offers. - Blame the entrepreneurs? Well they are business people, ruthless sharks ruled by money and driven by profit – and God knows there’s profit to be made from turning an old 2-story mansion into a 20-story modern building. What could you expect from them as they wander around free from legal regulation? - Or maybe blame the state? What state?! Oh… you mean the corrupt “urbanism” authorities that give away corrupt construction permits to corrupt entrepreneurs? It’s such a deadlock situation that in this total passivity (collusion?) 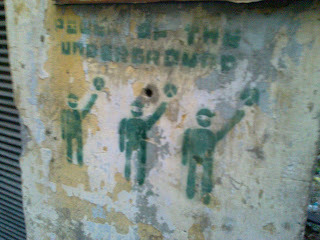 of the official authorities, we’re almost tempted to blame the non-profit organizations like UNESCO and the NGOs for not classifying enough properties, not protecting enough buildings, not countering enough projects, not rallying enough forces, and not standing strong enough in the face of the state/entrepreneurs duet… Isn’t it ironic? Enough already! This is happening too fast, too blatantly, too savagely. It’s a saddening reality even for the most down-to-earth among us. We have to do something about this. Save Beirut Heritage! (Photos taken on the same day around Monot and Gemmayze). 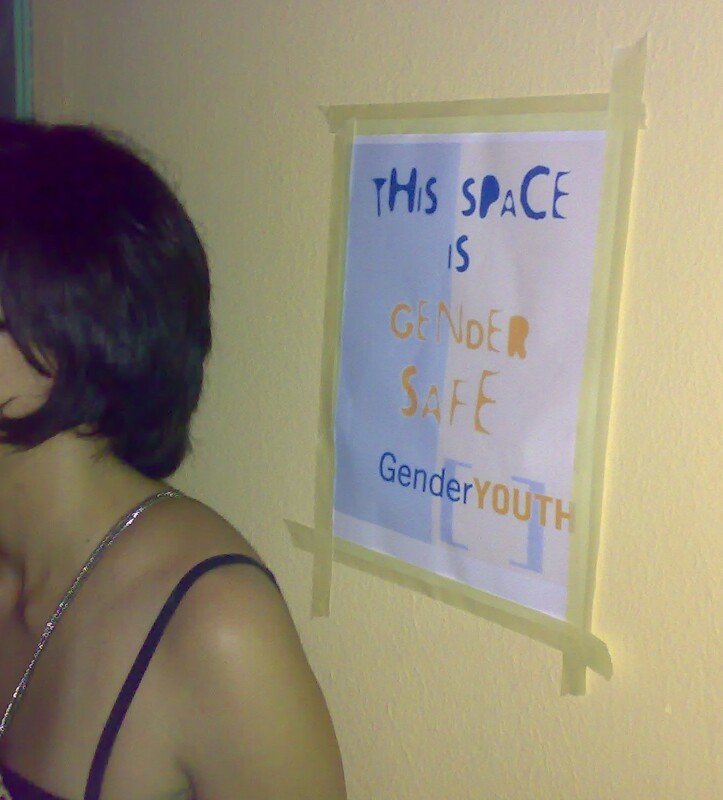 So last Monday (May 17) was the international day against homophobia. The next day, Portugal joined the Netherlands, Belgium, Spain, Canada, Norway, Sweden, South Africa and 5 U.S. states in recognizing gay marriage. Big week for gay rights. It might be that I didn’t really look for one, but I’m not aware of any GiB activity in Lebanon for the occasion. As far as I’m concerned the celebration boiled down to watching a debate on French TV on the topic “Is France homophobic?”, where gay activists were complaining about France not being enough ahead of the curve, about the persistence of occasional gay bashings and some kids being kicked out from home for being gay. 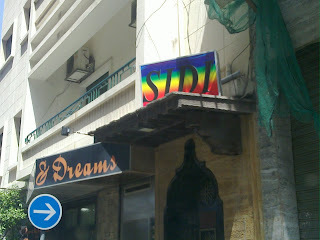 - “Would you say Lebanon is homophobic?”, my straight friend asked. - “This level of debate doesn’t even apply here”, my GiB friend and I responded in sync. Not to belittle how far along Lebanon has gone, where it stands right now, the efforts we’re putting and where we’re headed - We’re actually doing much better here than anywhere else in the Middle East except for Israel. I do believe that gay tolerance is on the rise in Lebanon, and it’s happening right before our eyes. I mean seriously, where else in the region would they dare to use a sign like this new GiB joint in Monot did? Summer holidays are right around the corner, but that’s not always good news as far as going out at night. Indeed when it comes to going out during high season, Beirut's all-year-round partygoers come out worse than spoiled kids. On these nights the debate quickly shifts away from what to do tonight, to which places to avoid tonight. Suddenly it all seems too crowded, too touristy, too wannabe. And so it’s a time when we go out less on weekends, more on weekdays, try to think outside the box, get out away more often from Beirut, discover new places, await the occasional house parties, and stay on the lookout for the all-too-rare off-parties. Judging by the ever-changing listings in TimeOut, Beirut nightlife might be bustling indeed. 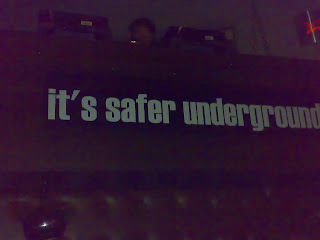 But the reality is, it would get quite boring if it weren’t for its alternative/underground scene outside the mainstream/commercial spots. 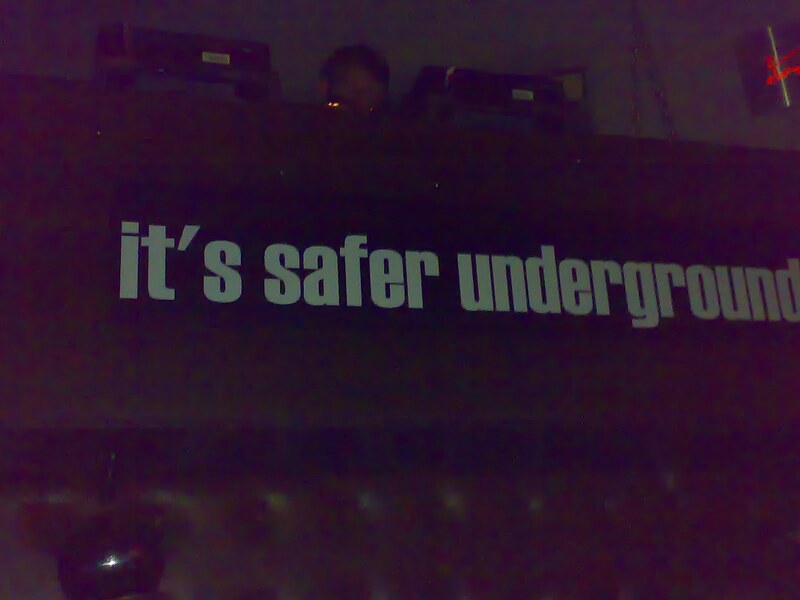 … So as the summer settles down I call on you Power of the (Safer) Underground, please keep us stumbling again on wall posts like this one from a private Beirut rooftop party last summer! (pics from The Basement (v1.0), and somewhere in Gemmayze). Many guys still have me, many lost me at birth, some took me off later on, and some have grown me back; I separate the world’s men into two groups… who am I? Yep, you’ve guessed it, this one’s about the foreskin. For those with any interest in this little piece of extra skin - or the absence thereof -, here is the factsheet for Lebanon! Most Lebanese men, at least 75% of us, are circumcised. It’s a common procedure across Lebanon’s hospitals, that is done on baby boys generally at birth. You don’t have to sleep with a statistically significant sample of Lebanese guys (like we GiBs did) to verify this figure: just run a quick search on the online cruising websites, and you’ll quickly notice that the vast majority of profiles indicate “Cut”. This high proportion makes sense, given that over half of Lebanon’s population is Muslim, and Muslims practice circumcision routinely. That’s that. What is more surprising however is the case of the Christians, who comprise somewhere between one-third and one-half of the Lebanese. In fact, the Christians of Lebanon also practice circumcision widely, especially the non-Maronites among them. Now considering that the vast majority of the world’s Christians do not circumcise their newborns, this makes Lebanon’s Christians one of the most circumcised Christian populations in the world, similar to the Copts in Egypt, another Christian minority living in a Muslim environment. Another exception is the United States, which today remains the only mostly-Christian country that circumcises infants on a routine basis with no need for medical justification. The figures are much lower, or trending downwards, in the other mostly-Christian and first-world countries. So it seems that whether or not a newborn Christian boy of the world gets circumcised or not, depends less on specific Christian beliefs, and more on local culture and habit. Under this assumption, Lebanon’s particularity owes more to the long-lasting influence of Judaism and Islam in this part of the world, and less to matters specific to Levantine Christianity. Now on to the GiB facts. Over the years I have noticed that GiBs have not just a slight preference for the cut, which is understandable as it is the norm around here, but rather, that they tend to have quite a strong preference for the cut. So the minority of uncut guys in Lebanon must cope with this noted GiB preference for the cut. Luckily, this matter remains of secondary importance to a lot of GiBs, who don’t pay it more attention than it deserves. The awkward part however, is that all-too-many GiBs seem to associate “uncut” with “bad hygiene”. It could be out of experience, or due to the lack of it, but in both cases these GiBs don’t acknowledge that hygiene is a matter of each individual, that it comes with education, and that one can have bad surprises on either side, whether it be with a guy who is cut, or uncut. Let’s face it, two days without a shower and the uncut gets worse than the cut… but does that justify such an anti-uncut bias among GiBs?